This thing makes me worried. Haha, but seriously this would make most people go "whooa". Even my wife had an evil smile as she said "My God that thing is huge!!!" Well enough about that.This will take at least two hours so look for a review coming soon, but I thought I would share and let the envious size comments begin. In this case does size really matter? I really wish they'd do a little more with their bands to differentiate what's what. A secondary band, nothing big. Why? Every line they make has its own band... The Digger is just a new size in the Double Ligero line. Every specific line has a unique band. It's not like Fuente where the Hemingway, Sungrown, and Don Carlos cigars all have the same band. Do they? They all look very similar to me. Is there a way to tell on the band the difference between oscuros, maduros, and sumatras? No, but the difference between say, a DL natural and a DL maduro is really obvious, since their maduros are realllllly dark and oily. Otherwise its just knowing what lines are available in what wraps. the fuente cigars you just referenced all have different band and foot ribbon combinations. the hemmingway is the only one that is confusing. it has the same set up as the Don Carlos, but they are all a perfecto vitola of various sizes. Haha... I know this, however the three I mentioned do all have the same black bottomed band. LFD bands actually say what like they are, right there on the bottom of the band. Jeez BlueRings... do ya smoke it or hit baseballs with it?!?!? Biggest cigar I have ever run across. You can swing for the fences and celebrate will a 2 hr smoke afterwards. Thing must be over 9 inches. I should know I did a side by side comparison. LMAO. In that particular case it's easy, but in others, not so much. Anyway, interesting cigar. Not really my cup of tea, but I'm sure it will sell well if the price is right. The bands all say what cigar they are. Double Ligero line says Double Ligero. Factory Press says Factory Press. Air Bender says Air Bender. The Cameroon Cabinet band says Cameroon Cabinet on it. Not kidding. All of the cigars have the name of the line on the band. Not really what I was talking about, but thanks for the explanation all the same. Anyone know what these things are going for? I'm guessing ten to a box? $10 a stick 20 to a box. Wow, that's gonna be a big box. That's not a bad price though, considering how much tobacco is probably in there. LMAO, Finally some humor in this tread. I was beginning to worry this was more about cigar labels and less about bad taste. Well, to answer the question I always measure twice and cut once, such a shame and waste of a good cigar. "Now thats funny right there I dont care who you are"
Found these at my local B&M in Downtown Fredericksburg, VA. Dropped one off to Lakota a while back. Havnt heard how good it was. Not sure if he has had the time to actually smoke it yet. Just picked up 2 more today. One natural and one maduro. Only 10.50 here. Not too bad for a stick this size. 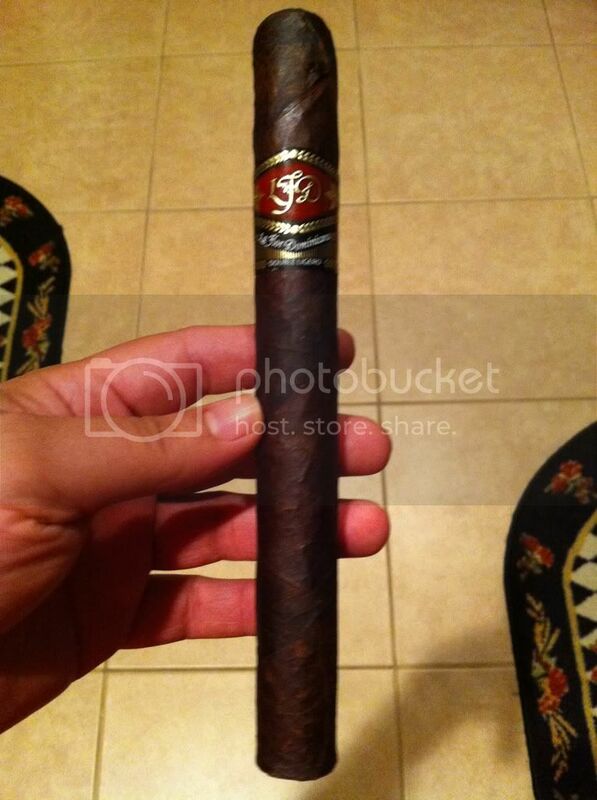 I had the Colorado Oscuro No. 4 a few days ago....the flavor profile is mind-blowing.... really. Heck of a cigar, and certainly something I would smoke every day and nub it. I think I'm going to give it a shot tomorrow. Eat a good meal first. Seriously.